At a time when racial tensions are high, we can revisit the unique career of a man who was a civil rights activist yet also sought to evangelize white supremacists. Will D. Campbell, author and activist, occupied a distinct and somewhat lonely category as he preached a transcendent message of peace during an era of sharply divided political ideologies. Ordained in 1941 at age 17 as a Southern Baptist preacher, Campbell briefly served a pastorate in Louisiana before engaging his lifelong public ministry — advocating for Civil Rights. Presenting himself as a backwoods “bootleg” hayseed, wearing cowboy boots and straw hats, he actually possessed a fine intellect, abundant courage and quick wit. Campbell, siding unhesitatingly with the oppressed and disenfranchised, was one of four who boldly escorted African American students, known as the “Little Rock Nine,” into the racially segregated Little Rock Central High School in 1957. Campbell was also the only white man to attend the founding of the Southern Christian Leadership Conference, led by Dr. Martin Luther King, Jr. in 1957. In addition to frequent lecturing at churches and universities, Campbell wrote fiction and non-fiction. 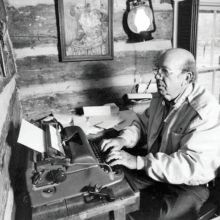 His novels include The Glad River (1982) and The Convention (1988). His autobiography, Brother to a Dragonfly, was a finalist for the 1978 National Book Award. Though Campbell vigorously battled inequality, his simple Christian faith elevated him above the violent forces of impassioned rhetoric. For example, he visited James Earl Ray, the assassin of Martin Luther King, Jr., in prison, insisting that the segregationist too is a child of God and a brother. He also ministered to members of the Ku Klux Klan, performing marriages and funerals, visiting them in jail and hospital. At one prominent event he introduced himself: “My name is Will Campbell. I’m a Baptist preacher. I’m a native of Mississippi. And I’m pro-Klansman because I’m pro-human being.” Not surprisingly, Campbell’s extraordinarily irenic ministry infuriated other civil rights leaders, stirring deep resentment. How could he do such a thing? You speak more sanely and clearly about reconciliation and the gospel than anybody I know. We would be very happy to have an article from you on what reconciliation means now, especially in light of the deteriorating racial and economic situation. Your relationship both to southern blacks and poor whites, and the Klan in particular, is pretty unique, and you might want to write something out of all that. Stories drawn from your travels as a sort of pastoral troubleshooter would well illustrate such an article. If the idea grabs you at all, we’d be interested. You could shape the article in any direction you wanted. My feeling here is that I don’t have anything to say that I have not said several times already. The alleged resurgence of the Ku Klux Klan is, I believe, largely a media mind stance. The Klan has never really gone away. I continue to try to point out that a few hundred poor, confused folks marching around a burning cross, or even gunning down folks marching in Greensboro, are not the real racist enemy in the country. And a lot of folks go on seeing me as some kind of apologist for the KKK. I have never said that they are not evil. The point is that we who practice the sophisticated and socially acceptable brand of racism are more evil. After an active career of prophetic proclamation and courageous action, Campbell died at age 88 in 2013. Jim Wallis’s brief exchange with Will D. Campbell is maintained in the Sojourners collection (SC-23) of Special Collections, Buswell Library. Sojourners’ mission is to inspire hope and build a movement to transform individuals, communities, the church, and the world. You can read more about their racial justice efforts here.